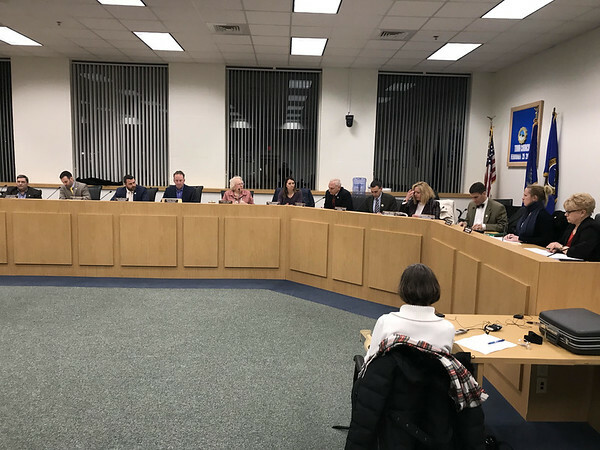 SOUTHINGTON - The Town Council set a public hearing for April 22 on the proposed 2019-20 budget as approved by the Board of Finance Monday and will vote on it during their first May meeting. Under the Board of Education’s original proposal, the board would have spent $100.22 million, which would have been a $4.39 million increase over the previous year’s budget of $95.83 million. The budget approved by the Board of Finance is instead an increase of $3.15 million over this year’s Board of Education budget. The council also voted Monday to approve the creation of the Town Policy Diversity Committee and the Heritage Identity Study Committee. Posted in The Bristol Press, Southington Herald on Tuesday, 9 April 2019 20:42. Updated: Tuesday, 9 April 2019 20:44.